Open 24 hours for your convenience, we offer a wide selection of old home favorites and regional specialty menu items, including fruit and cream pies fresh from our bakery. Our breakfast menu is available anytime. Thank you for thinking of Casa de Fruta for pies during the Holidays. 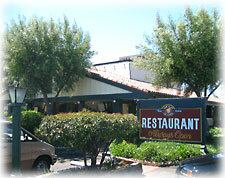 We can take your order over the phone 408 852-1000 ext. 2 or you can email me direct if you would like to pre order the pies. We're not set up at this time to do the pies over the internet. For information on special activities throughout the year, please check out our News/Events page.